"I remember eating Jewish food, celebrating the holidays and going to shul"
In 1950, my grandma Leonie Bonivida, who was thirteen years old, and her family of eight left Egypt as refugees because they were Jewish. The Egyptian government was discriminating against all Jewish people in Egypt and my grandmother and her family feared for their lives. My grandmother remembers Egyptian police knocking on her neighbors door and asking if there were any Jewish people who lived in the building. Her neighbors would always say no because they liked my family and wanted to protect them. 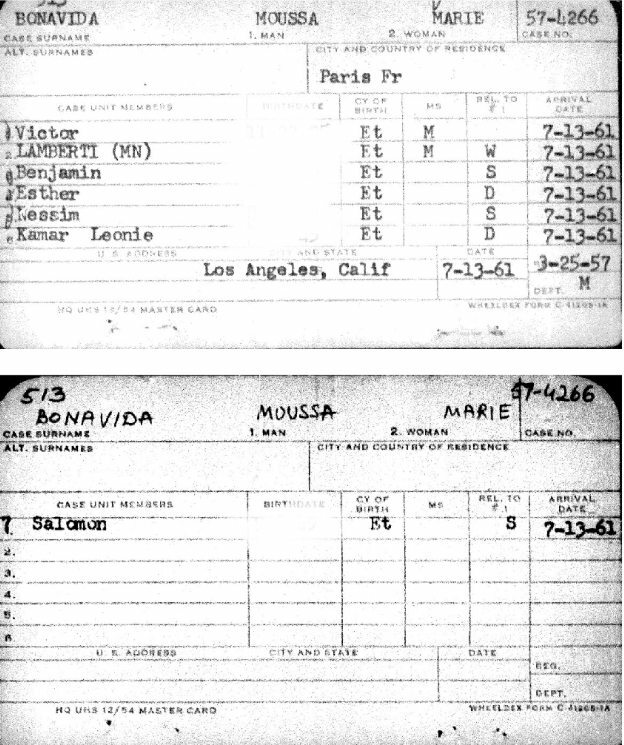 The red cross set my family on a boat to France with very little possessions where they promised them that HIAS, a Jewish organization will help bring them to America. In France, the French people discriminate against my family also because they were refugees. My grandmother and her family had to stay in the small motel room where they were not allowed to cook food and had to share the bathroom with other people who lived there. My grandmother says it was a horrible experience. 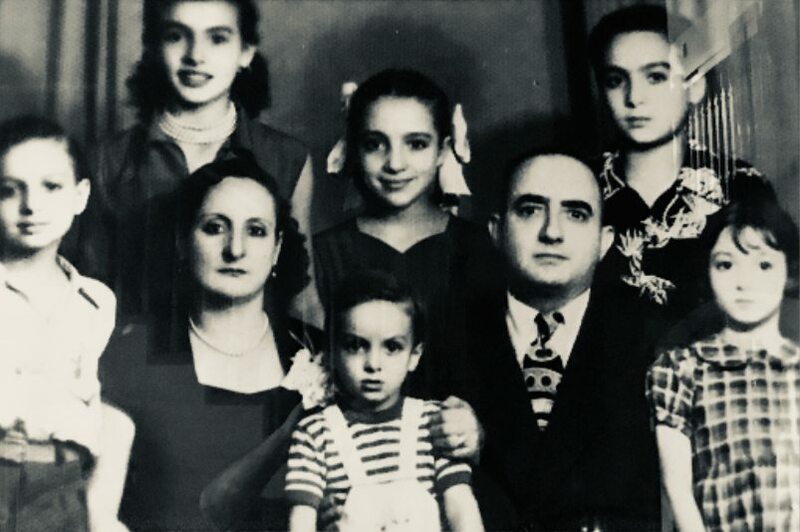 My grandmother and her family begged HIAS for three years to help them get visas to go to America, Where they thought they were going in the first place. They needed money to get on a plane to America and a family to sponsor them once they arrived. My grandmother’s family had relatives in America but due to unfortunate circumstances, they we’re not able to help my family travel and reset because my grandmother‘s family was so large. My grandmother Leonie was born in Cayro, Egypt, along with her parents and 5 siblings. Her parents names were Victor and Marie. She remembers celebrating Purim Yom Kippur and most of the holidays. She remembers when she sat on the floor during Tisha Bav. Her father Victor was very religious and since he was unemployed for a while, he would go to Shul three times a day. My grandmother remembers that all of her brothers had Bar Mitzvahs. She says that at the time nobody celebrated Bat Mitzvahs. She also remembers lighting candles on Shabbat with her mother. Once a year, my grandmother's mother would light candles for her parents. That is called Yiskor. My grandmother's mother was the best cook. On the holidays she would make Borechas filled with meat which were a family favorite. In conclusion, my grandmother remembers celebrating a lot of Jewish holidays, going to Shul on Shabbat, and eating special food for different holidays. The Story was uploaded as a part of the G2G program in Pressman school, L.A.